• Most smallmouth bass — Levi Archuleta • Most northern pike — Bruce Bufkin • Tagged fish prizes — Levi Archuleta and Mike Satterwhite (neither were caught, so prizes were given away via drawing) • Tagged fish from previous years — Bruce Bufkin won a Cabelass pellet grill/smoker for catching a northern pike from the 2017 tournament. • Crecencio Salazar won a fishing kayak for catching a tagged fish left over from the 2016 tournament. Forty five daily prizes were awarded for the most, smallest and largest smallmouth bass of that day and the most, smallest and largest northern pike of that day. Daily prizes included fishing rods, fillet tables, camping grills, coolers, fishing float tubes, solar powered chargers, Bluetooth speakers, life jackets, landing nets, tackle boxes and Yeti Ramblers. CRAIG — Northern pike and smallmouth bass fishing were almost as hot as the temperatures during the final week of the Elkhead Reservoir Fishing Classic. A total of 37 northern pike, including one that measured 41 inches, earned Bruce Bufkin the $750 prize for most northern pike caught. The retiree fished for nine straight days. He has participated in the tournament before and said this year, the fishing was entirely different. “They took a different lure and were more shallow in the weeds,” he said, adding that, as a consequence, he’ll use some of his winnings to pay for a new prop for his boat. “It’s all worth it, though,” Bufkin said with a grin. Levi Archuleta spent all week, eight hours per day, to catch 212 smallmouth bass, a total that netted him the $750 prize for the most smallmouth bass caught during the tournament, a title he also won in 2017. The key to his success was “lots of walking. I fished from the shore for all but one day,” he said. Two fish — one of each species — were tagged and released before the tournament. 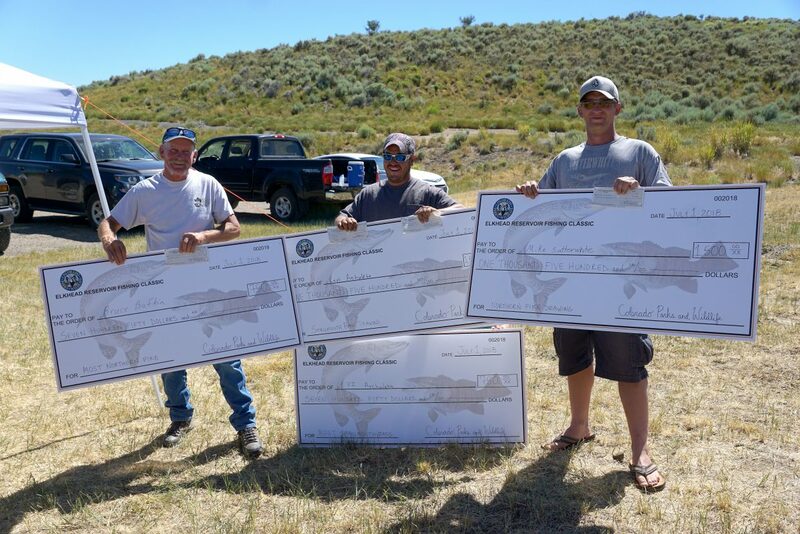 Had either been caught, it each would have earned the angler $1,500, but as neither of the 2018 tagged fish was caught, a drawing was held, instead. Archuleta won one of the drawings, and his daughter cheered with excitement upon learning her father would bring home $2,250. He said he’s planning to use part of his winnings as a down payment on a car for her. Mike Satterwhite was the other lucky winner of the $1,500 prize drawing. Also a winner of many of the daily prizes, he said he plans to use the prize money for a fishing vacation later in the month. The tournament, now in its third year, began June 23 and ended July 1. The turnout for 2016 saw 57 people competing in the event, harvesting 529 smallmouth and 53 pike. Last year, more than five times the amount of anglers hit the reservoir — 332 folks catching 963 smallmouths and 395 pike. While early numbers indicated attendance would be up again from the prior years, the final tally showed that both the total number of fish caught and people competing were down slightly in 2018, according to Colorado Parks and Wildlife park manager of Yampa River and Elkhead Reservoir State Parks Jacob Brey. He added that lower fish numbers is, perhaps, a good sign. The tournament and a net across the spillway are two measures CPW has taken since 2014 to reduce aggressive non-native fish — northern pike and smallmouth bass — which impact native endangered fish species downstream in the Yampa River. While the tournament and Craig Press coverage of the event has not been without controversy, both are likely to continue. As aquatic biologists continue their work to shift the species of fish in the reservoir. Other, more drastic options, were once considered, such as using rotenone — a chemical that interferes with a fish’s ability to breath — to kill all the fish. This option would have required cleaning the water of dead fish, detoxifying it and starting the fishery from scratch. 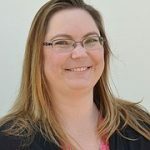 The rotenone idea was extremely unpopular with fishermen, Craig city officials, tourism agencies and those who own water rights at Elkhead Reservoir reported the Craig Press in 2014.